When it comes to playing rock music. 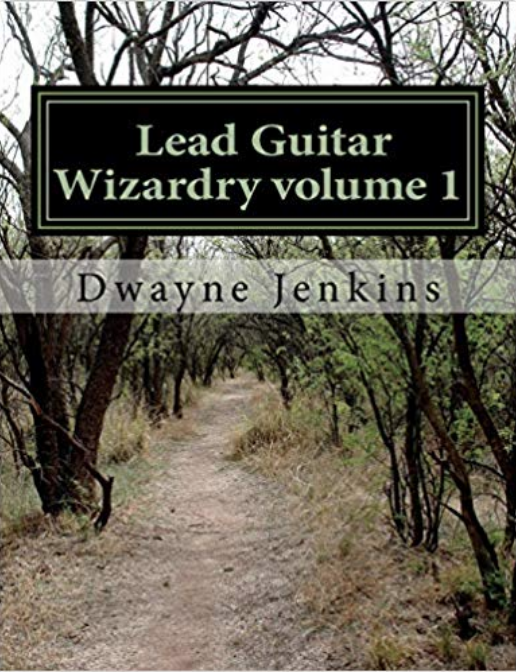 Especially classic rock like Led Zeppelin, Van Halen, Ozzy, & Metallica, you must have the right type of guitar. A rock guitar. Playing rock music requires a certain type of guitar for getting its sound. 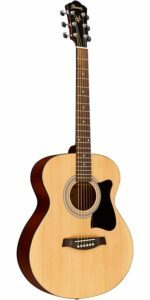 In fact, every type of music has a guitar that is best suited for it. If your playing jazz, you want to use a hollow body type guitar as they sound great for that style. Or if your playing country, a nice Fender telecaster works well, and if your playing blues a nice Gibson Les Paul or Fender Stratocaster works well. 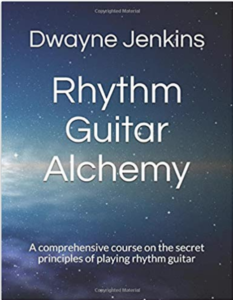 Now, of course, you can use one guitar to play all styles like a Fender or Gibson but typically some work better than others for certain styles of music. And it would be best to look around. But here are some suggestions. What’s best for rock music? Well, when it comes to rock music thee are a few that work really well. A Gibson Les Paul has bee known to work wonders in the rock genre of music for decades. 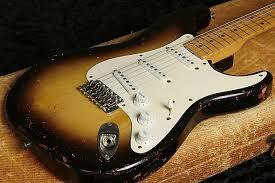 And the Fender Stratocaster has been known to produce quite a few guitar heroes in its day. Leo Fender was considered a genius and was the one to put rock guitar on the map back in the day and players like Jimmy Hendrix and Eric Clapton have influenced millions to pick up an ax (as it’s called in the music world) and carve out their own original musical creations. 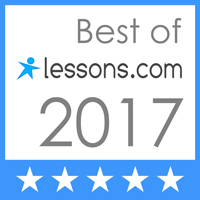 And of course, people like Jimmy Page (of Led Zeppelin fame) and Slash (of GnR fame) has inspired legions of fans to pick up a Les Paul. Either by Gibson or Epiphone. Whichever you can afford. Both Work well. 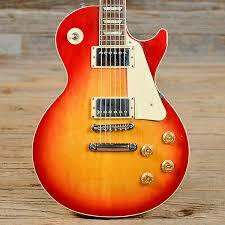 In fact, if you look at rock bands of the 70″s most of them play a Les Paul. That is how influential it was. Then in the late 70’s a young guitar slinger named Eddie Van Halen came out of Pasadena California and set the guitar world on fire (literally) with his own original concoction of a Strat and Les Paul combined. Creating a sound that is still emulated to this day. He says it is due to years of experimentation. 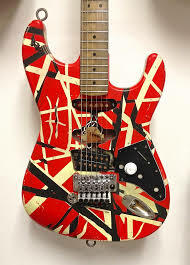 Eddie Van Halen introduced something new to the rock world with his home-made guitar that had a tone that is out of this world. And if you don’t know what I’m talking about, just listen to that first record “Van Halen” you’ll understand very clearly what I’m talking about. So when you are looking to play rock music with a guitar, all the above mentioned can do the job. 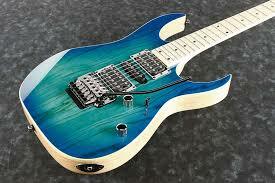 But to me, they don’t do nearly as good as an Ibanez RG or Ibanez S series. These guitars (very much like the Marshall amp) were born to rock! 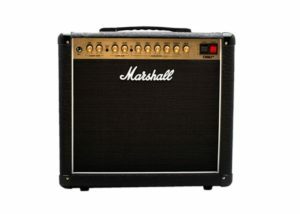 Designed to play high voltage rock n roll! Plug into one and play it and within the first 5 minutes (if not sooner) you’ll see exactly what I’m talking about. 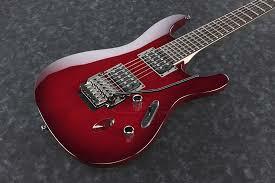 These guitars are designed with high output pickups, sleek body contours and a slim fast neck for fast playing. Not to mention a floating bridge for getting all those cool rock sounds that send shivers down your spine. When you set out to find your guitar. You know the one that is right for you, be sure to take your time. 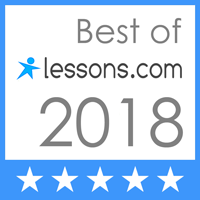 Look around and try out a few. You’ll eventually find the one that fits you best. Whether that be a Fender Strat, Gibson Les Paul (or one like Angus uses, the SG) or an Ibanez RG or S series. You will find what you are looking for if you put enough time and effort into it. Once you do, you’ll have acquired your first and most important tool for playing rock guitar. Now it’s off to find the perfect type of rock amp. That’ll be in the next lesson. Until then, good luck finding the right rock guitar for you. And if you have any questions be sure to reach out. That’s what I’m here for. 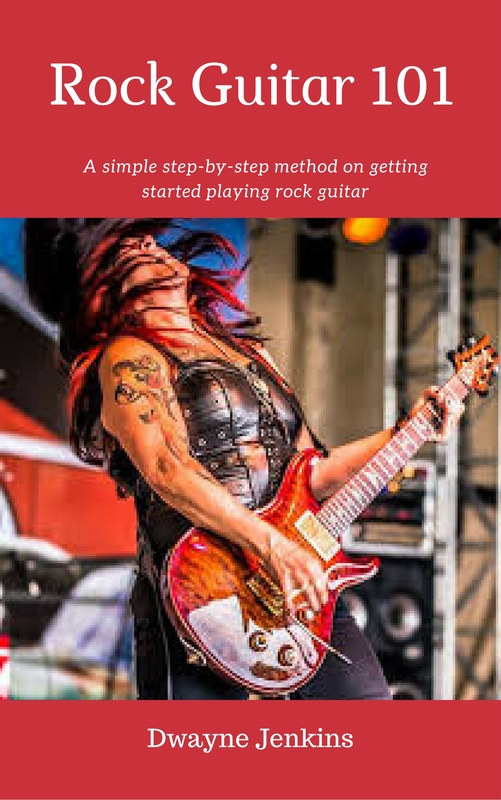 And be sure to grab my starter book Rock Guitar 101 on Amazon and join my Guitar Club for exclusive training tips sent right to your email.